The days after the A Level results were released, may not be ideal timing for holding a trial, but with the Junior Home International being held in 4 weeks, options were limited. Despite these constraints, a group of high quality athletes assembled for the start of the race. 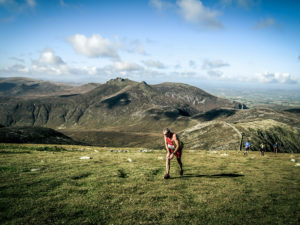 From the vantage point of the start line, spectators were able to observe the pace of the senior athletes as they began their ascent of Meelbeg. 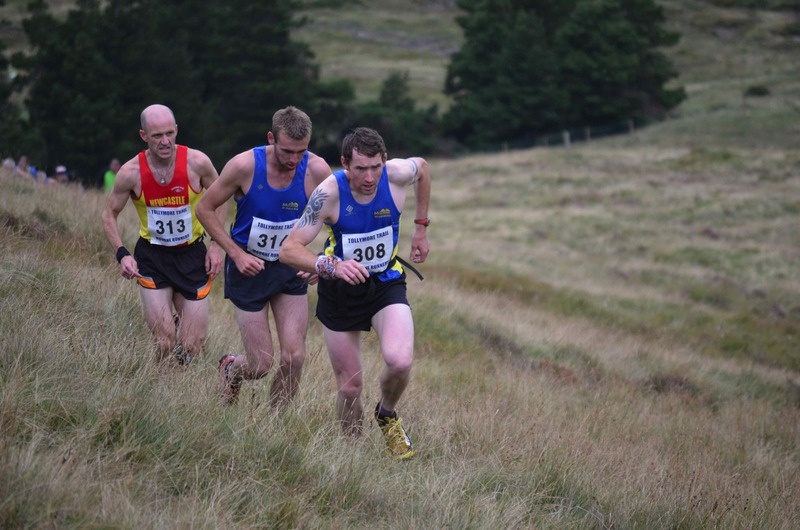 As has been commented in the senior report, Zak Hanna made his intentions clear, being the only one appearing to run the early stages of this climb. 15 mins later the junior race was quite a contrast, with most of the runners still running at the same point. 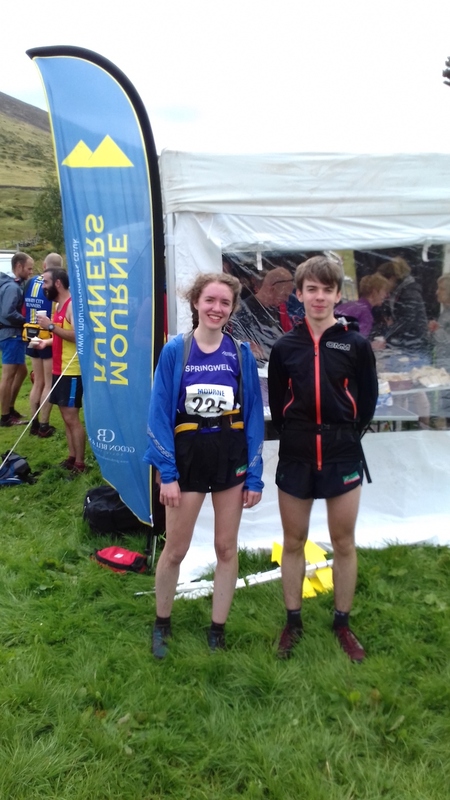 Comments could be made about the more experienced pacing of the senior field and their longer race, but for a 16yr old to record a time that would have placed them 3rd in the senior race at the summit of Meelbeg is no mean feat, for 2 runners to do the same is very encouraging for the future of NIMRA runners. Oisin Brennan, the defending champion from last years trial, started like Zak, making his intentions clear. Conall McClean, joint winner of the Junior Championship had other ideas and managed to catch Oisin by the summit, both recording the same time as they rounded the cairn. Oisin from his regular Hill & Dale competition and fresh from the World Championships in Italy, was able to pull away strongly on the descent to record an impressive victory. 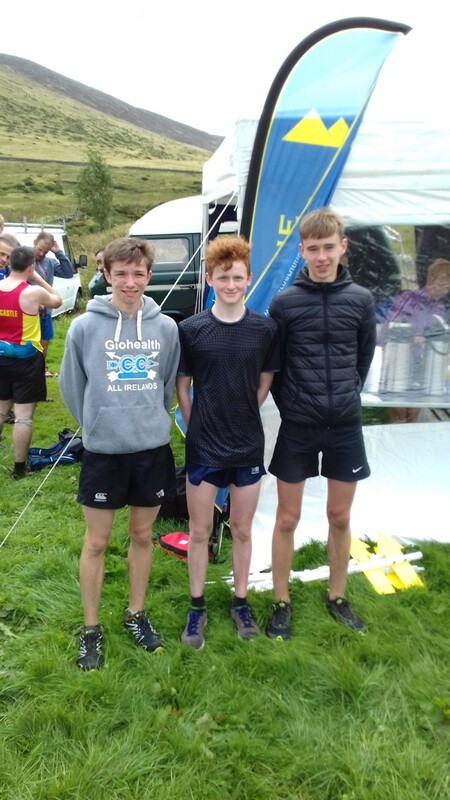 Conall held on for second with Jamie Anthony delighted to take third after exam clashes preventing him from competing at the youth cup earlier in the year. 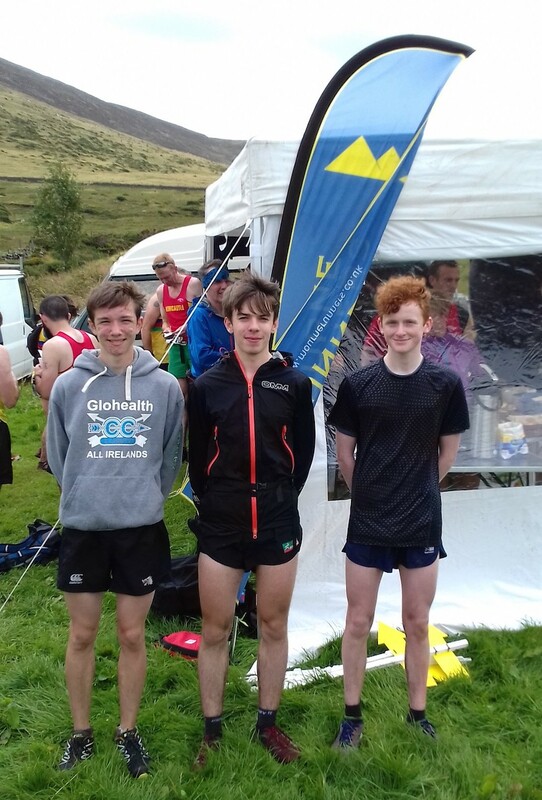 As Oisin will compete in U20, the final podium position was earned by Callum McCabe in an excellent run. Molly Brennan ran another strong race to take the female win. The U20 and U17 Teams for the Junior Home International being held in Peebles, Scotland, will be announced in the coming days. 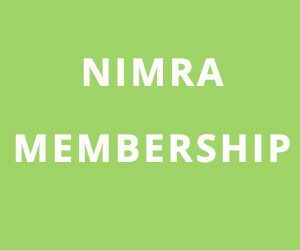 Next story What a weekend for Nimra Runners!